Use this small touch-up gun for spot repair, custom painting and detail work. Easily gets into tight areas. 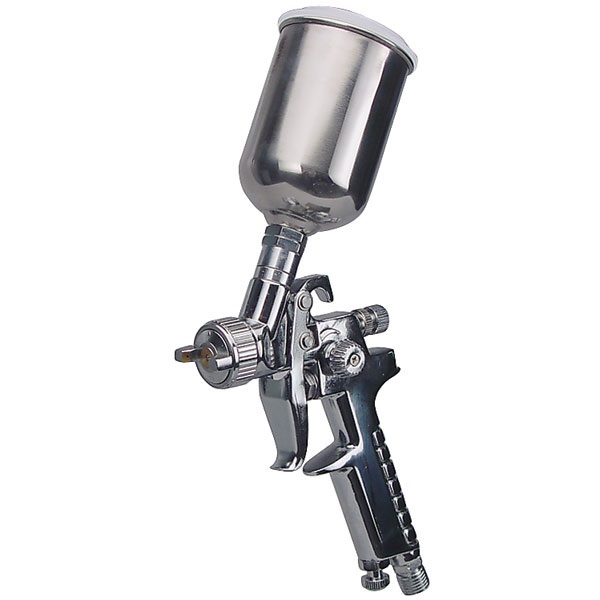 Touch-up gun sprays most automotive finishes and clearcoats. Perfect for those jobs that don't require mixing a lot of paint. Gun has a 1.0 mm needle and nozzle, 100 cc aluminum cup with lid, and a wrench set. Requires air compressor hookup of 3.5 to 6 cfm @ 15-45 psi. 2-1/2" wide, 10" high, 5" deep. Low overspray - Save up to 50% on materials.